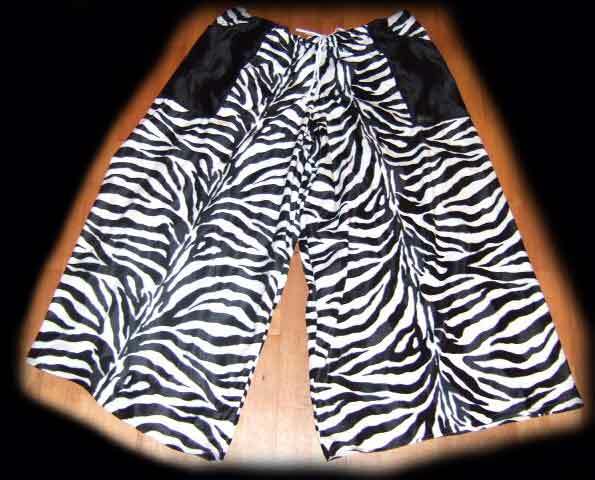 We can custom make a pair of these for you, so if you don't see what you want just let us know. 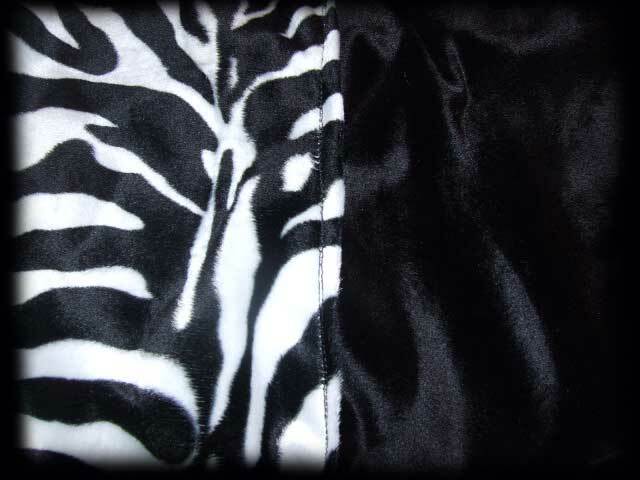 These are made with 100% polyester short pile faux fur. It's a very nice looking and soft medium weight material. These are not made from cheap lightweight material. They are sewn together using heavy duty upholstery thread. The bottom of the pants leg measures a huge 45 inches around! The length from the waist to the bottom is 44 inches but can be hemmed shorter if needed. (no charge) It has 2 great big pockets also made of the same material. These are for guys or girls. 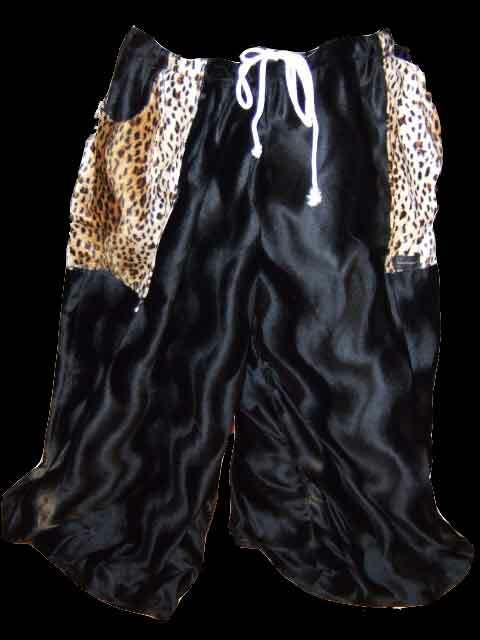 Has a drawstring waist and fit anyone up to a 48" waist. If you have any questions please ask. If you would like a custom pair we'll make one for you.